I was given a portrait of my dog Bobby as a 21st birthday present from my family. I knew straight away as I was opening it that Sue had painted it as her work is very unique. 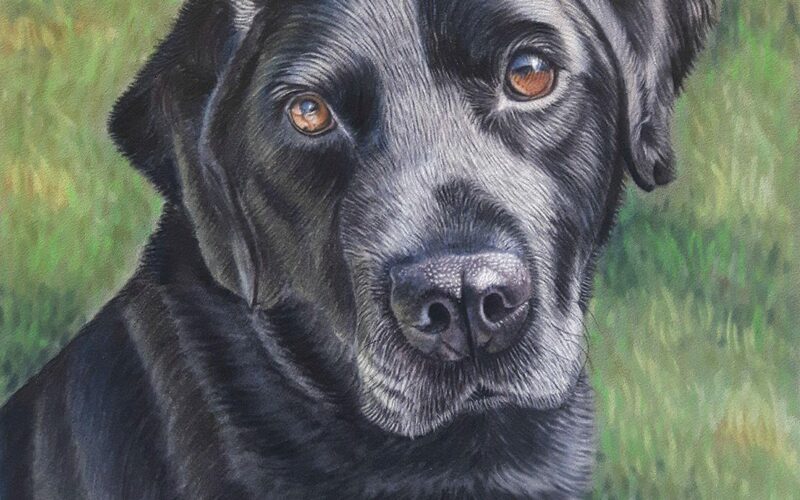 Considering I hadn’t seen the photo that was used for Sue to draw Bobby she did an amazing job capturing all of his personalities, which is clever as a lot of black labs look very similar but I knew it was Bobby straight away. Sue captures their eyes amazingly and all the colours were spot on. Bobby is now 13 years old and I’ve had his photo taken professional and paw prints stamped and now I have a lovely portrait to go with the collection on my wall to cherish him forever for when that time comes. So thank you Sue for putting a smile on my face and giving me something that I can keep forever, it means an awful lot. 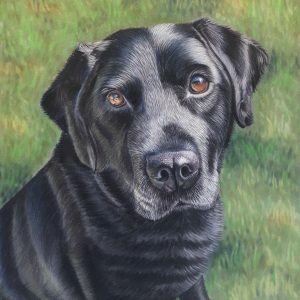 If you’d like to commission your own dog portrait, you can contact Sue here.